The Tactical Gun Belt from KORE Essentials did not disappoint. I was using their older model leather version but this new nylon one drove it home for me. I’m more of a causal dressing guy so the leather was a bit much for me. I was super excited when they told me about the new Tactical Gun Belt. It’s stylish, doesn’t scream tactical at all, and is a great look for just about everything I wear. The new Tactical Gun Belt utilizes the same Trakline ratcheting adjustment system that you’re now getting familiar with. 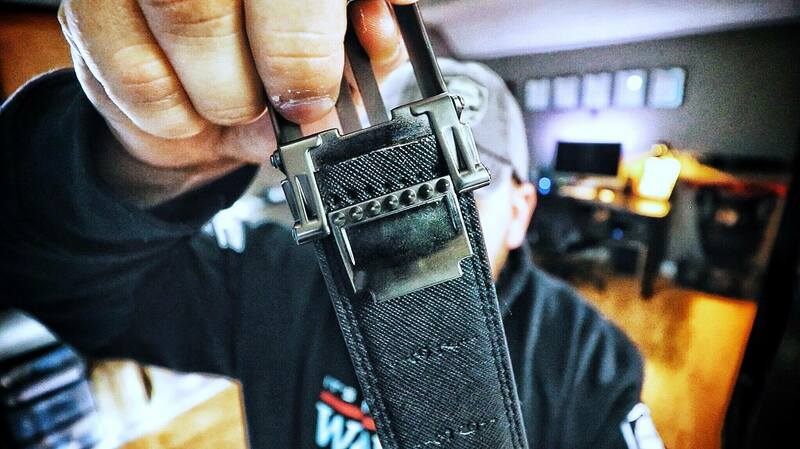 It’s virtually indestructible and gives you roughly 800% more adjustability over traditional belts. Which is important when you’re carrying. Being able to dial that retention in to get it right where you need it makes all the difference. It’s also super easy to use too, so that helps. I now have both the X1 and X2 buckles but there’s no difference between the two other than the aesthetics. The functionality the buckles stays the same so you can use them interchangeably with other gun belts (not fashion belts, remember that). The teeth lock into the belt strap very tight and it’s not going anywhere. The nylon they used is also rated up to 500 lbs. The rigidity you get with that combined with the poly-core center is just insane. I can’t bend it even with all of my body weight. This helps a lot with keeping your draws efficient, consistent, and fast. Be sure to check out KORE Essentials and pick up one of these Tactical Gun Belts for yourself. You will not be disappointed! 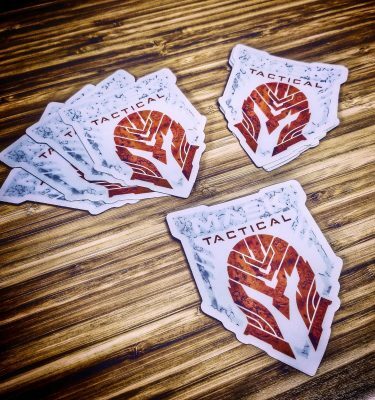 Also be sure to use our promo code “MaskTactical” to save 10% on anything in the KORE catalog.